Three snap-downs on the front of the diaper allow you to easily adjust the size of the diaper as your baby grows. A slim fitting “Pocket” style diaper that features stay-dry wicking fleece interior and adjustable, removable absorbency for quick laundering. Bumkins Stuff-it diapers come with TWO Minky inserts (new 4ply – sized at 5.5 x 13.5). Machine wash hot and tumble dry low, visit our diaper care page for more information. One Size Adjustable Fit Three snap-downs on the front of the diaper allow you to easily adjust the size of the diaper as your baby grows. Waterproof Outer Shell Waterproof outer PUL fabric with TPU is stain and odor resistant, machine washable, durable and comfortable. Prints remain bright and colorful wash after wash. Adjustable Absorbency Covered opening protects baby from moisture and allows for “stuffing” inserts or prefolds to customize absorbency. Stay Dry Interior Inner stay-dry wicking microfleece keeps moisture away from contact with baby's skin. Designed for quick drying. Inner stay-dry wicking microfleece keeps moisture away from contact with baby's skin. Designed for quick drying. 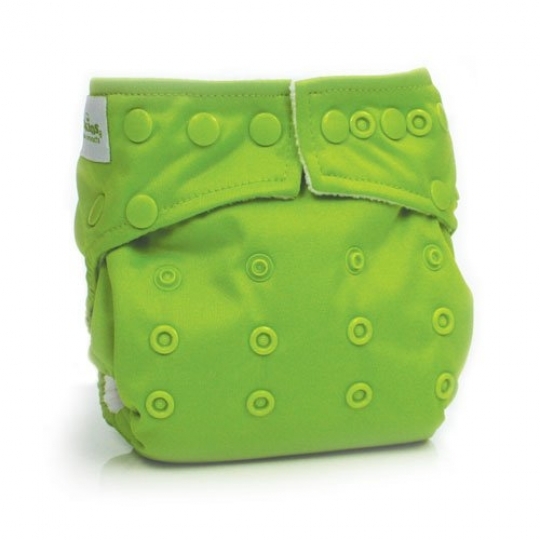 Bambo Nature Baby Diapers Pack – Size 1 28ct.